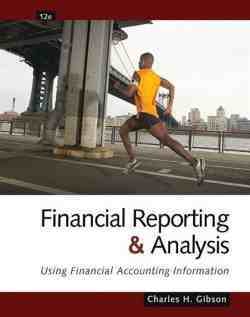 This book teaches financial accounting from both the user’s and the preparer’s perspective. It includes the language and the preparation of financial statements. Reliance is placed on actual annual reports, 10-Ks, and proxy statements. 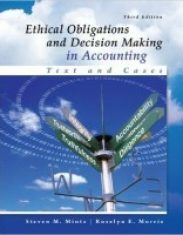 Sufficient background material is included, facilitating its use for students who do not have prior courses in accounting or finance. This proverb describes the approach of this book—involving students in actual financial statements and their analysis and interpretation. Its premise is that students are better prepared to understand and analyze real financial reports when learning is not based on oversimplified financial statements. From this basic premise come the many changes to this edition. 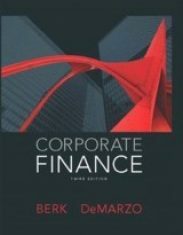 Those changes, supported by our technology tools, focus on the goal of this text, which is to involve students in actively learning how to read, understand, and analyze the financial statements of actual companies. These changes are discussed in this preface. Ratios have been revised to conform with current standards. Coverage of ethics has been expanded. International accounting has been updated to reflect the substantial changes that have taken place. This includes model financial statements. Internet exercises have been updated and new exercises added. Questions have been updated and new questions added. Problems have been updated and new problems added. Where appropriate, cases have been updated and new cases added. This includes forty five revised cases and twenty seven new cases. Exhibits and cases are extensively based on real companies to which students would relate. Access to Thomson One—Business School Edition This high-tech feature is available with every new book. This access to a version of the professional research tool allows students to become familiar with the software that is used in practice. Chapter cases on the text Web site, for every chapter with the exception of Chapter 13, walk users step-by-step through those databases as they learn how to access financial information covered in the text. Thomson One—Business School Edition provides information on 500 companies, combining a full range of fundamental financials, earnings estimates, market data, and source documents with powerful functionality. Market index information is available for a variety of indexes. The database gives you the ability to compare firms against their peers in a portfolio context. There are detailed historical and current financial statements from several different sources. Also available as summary information is financial ratio analysis. Historical stock price information and analysis, along with earnings estimates, is presented. Both fundamental and technical financial analysis is provided. Recent news reports are available. Filings the company has made with the SEC, such as 10-K and 10-Q, are also available. The Thomson One—Business School Edition provides information on market indexes such as the Dow Jones Industrial Average and the Standard and Poor’s 500. It also provides a powerful and customizable report-writing function that enables you to develop custom financial reports for the firm. FinSAS Financial Statement Analysis Spreadsheets (by Donald V. Saftner, University of Toledo) allow students to perform analysis on any set of financial statements using the ratios covered in the text. Users enter income statement, balance sheet, and other data for two to five years. The result is a 2- to 5-year ratio comparison by liquidity, long-term debt-paying ability, profitability, and investor analysis. The result also includes common-size analysis of the income statement (horizontal and vertical) and common-size analysis of the balance sheet (horizontal and vertical). Downloadable in Excel¤ from the product Web site, FinSAS can save users hours of number crunching, allowing them to concentrate on analysis and interpretation. Flexible (by Donald V. Saftner, University of Toledo) is designed to accompany and complement FinSAS. Flexible allows for common-size analysis (horizontal and vertical) of any financial schedule as well as statements. Flexible can be used to analyze financial statements (commonsize) in a different format (user-defined) from the format of FinSAS. Downloadable in Excel¤ from the product Web site, like FinSAS, Flexible can save users hours of number crunching, allowing them to concentrate on analysis and interpretation.